Art in the Libraries is an art exhibition program presenting exhibits in the WVU campus libraries. Opening August 1, at the Health Sciences Library, an exhibit of photographs by Rebecca Kiger that are a part of the A Knowing Intimacy exhibit will be on display. The exhibit was curated by WVU alumnus Elaine McMillion Sheldon. Sheldon is an Academy Award-nominated film director, producing the Netflix documentary “Heroine,” that follows women fighting the opioid crisis in Huntington, and “Recovery Boys,” following four young West Virginia men reinventing their lives after addiction. Kiger is a documentary, editorial and portrait photographer. 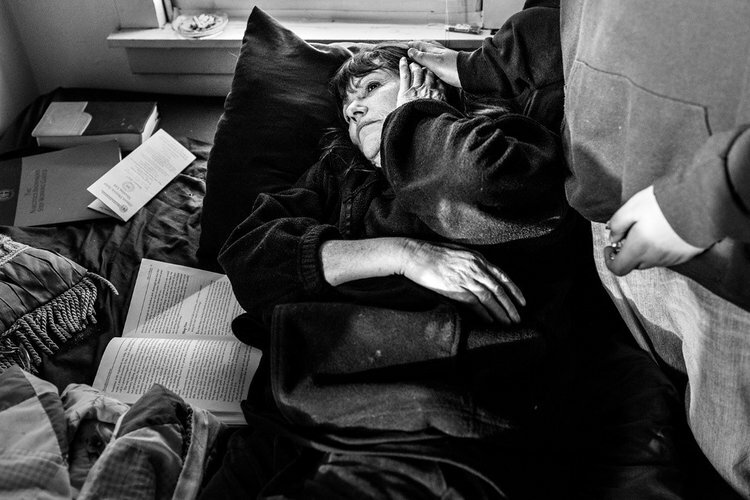 Her still photography work was featured in Sheldon’s films about the opioid crisis. The exhibit will run until Aug. 30. For more information, visit exhibits.lib.wvu.edu.